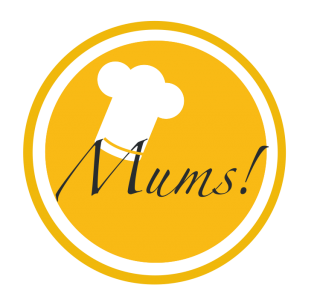 Sous vide beef tenderloin with roasted veggies – Mums! Beef tenderloin with roasted veggies and a rich red wine sauce is as classic as a dish can get. And that not without reason: In all its simplicity, it’s utterly delicious. Meat: Sear an entire beef tenderloin in olive oil seasoned with rosemary and garlic. Transfer the meat and herbs into a bag, vacuum seal the bag and place it into a sous vide bath. Sous vide for two hours at 54°C. Sauce: Add red wine into the frying fat. Strain through a sieve into a new pan. Add tomato paste and honey Dijon mustard. Taste with salt and black pepper. Reduce until thickish. Veggies: Drizzle chopped parsnip and broccolini as well as pre-steamed young potatoes and beetroot wedges with olive oil and salt. Season the beetroots with thyme and potatoes with rosemary. Roast for 25 minutes at 180°C. Assembly: Right before serving, bind the sauce with cold butter cubes, sprinkle the parsnip with finely chopped parsley and give the meat a brief sear. Slice the meat, season it with fleur de sel and place it on top of the veggies. Serve the red wine sauce separately. I served this main at Lilla Jul. Pingback: Lilla jul – Mums! I heard about the sous vide technique from Gordon Ramsay, this is a great recipe! I love my sous vide machine.